For over 20 years, Dr. Chobanian has been a well-known and respected cosmetic and plastic surgeon. Dr. Chobanian has built her solid reputation on a bedrock of outstanding plastic surgery results, a warm bedside manner and attentive, one-on-one patient service. She and her highly-skilled and well-trained staff are dedicated to ensuring every patient understands what to expect from every procedure. She is realistic about outcomes and honest about what she feels is the best strategy to take with each patient. Thatâ€™s what sets Dr. Chobanian apart from her competitorsâ€”her complete commitment to the absolute best, most appropriate procedures for her patients, a tradition that has helped her cultivate optimum trust among her peers and her patients. Dr. Chobanianâ€™s reputation of honesty and trust is backed by years of diligent education, continued education, hard work, research and excellent patient care. She is committed to staying abreast of the latest advancements in plastic surgical procedures and techniques. Dr. Chobanian knows that every individual deserves to â€œfeel goodâ€? about the way they look. She has dedicated her life to helping her patients achieve the outer image they desire. Dr. Chobanian graduated Valedictorian of her high school at 15 years of age, and graduated Summa Cumlaude in her college class at 19 years of age. By 23, she was an honors graduate of the Medical College of Wisconsin, making here the youngest licensed physician in the state. The first four years of her career were spent handling head and neck traumas and reconstructions as she became board certified in head and neck surgery and otolaryngology. A fellow of the American Academy of Cosmetic Surgery, she completed a fellowship in facial plastic and cosmetic surgery giving her a personal conviction to create artful masterpieces with personal aesthetic beauty, while committing herself entirely to the patient-doctor relationship. She a prestigious member of multiple associations, including the American Board of Cosmetic Surgery, American Board of Facial Plastic Surgery, American Board of Head and Neck Surgery as well as the American Board of Otolaryngology. World-class plastic surgery procedures include: Rhinoplasty, Revision Rhinoplasty, Blepharoplasty (eyelids), Rhytidectomy (face lift), Fat Grafting and Fat Transfers, Liposuctiion and Liposculpture, Breast Augmentation, Lift and Reduction, Male Breast Reduction, Reconstructive Procedures, Mommy Makeovers, Tummy Tucks, Injectable Dermatological Fillers, Advanced Skin Care and more. To learn more about Dr. Susan Chobanian, visit www.plasticsurgeoninglendale.com or call (818) 240-1820 to schedule your consultation today. 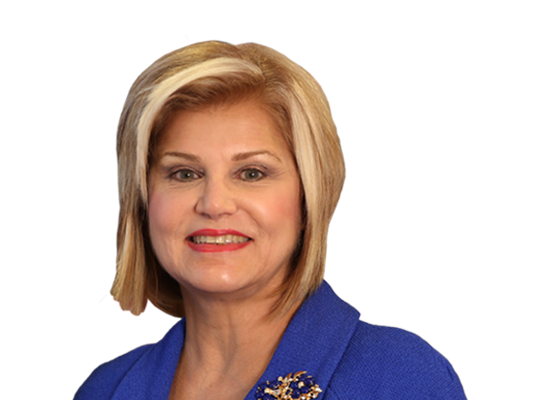 Are you a patient of Dr. Susan Chobanian? Login to your Who Is Who account and share your experience with Dr. Susan Chobanian. It takes seconds to register. Start your FREE account today and share your expereince with Dr. Susan Chobanian.